Make a commitment of a lifetime with a gift of roses & a drink. 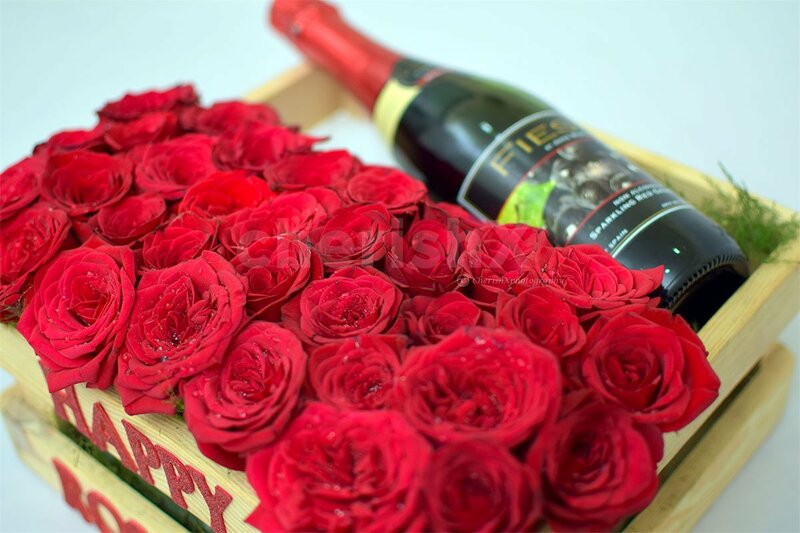 These gentle, fragrant & beautiful red roses will touch the heart of your beloved while the sweet & tangy flavour of the apple drink gives them a taste of your love. How about saying “I am yours” in the most classic fashion? Roses have been amongst the favourite picks for lovebirds to express their feelings to each other. Not just this, each rose that’s perfectly placed in the crate says that they have been in your mind always! 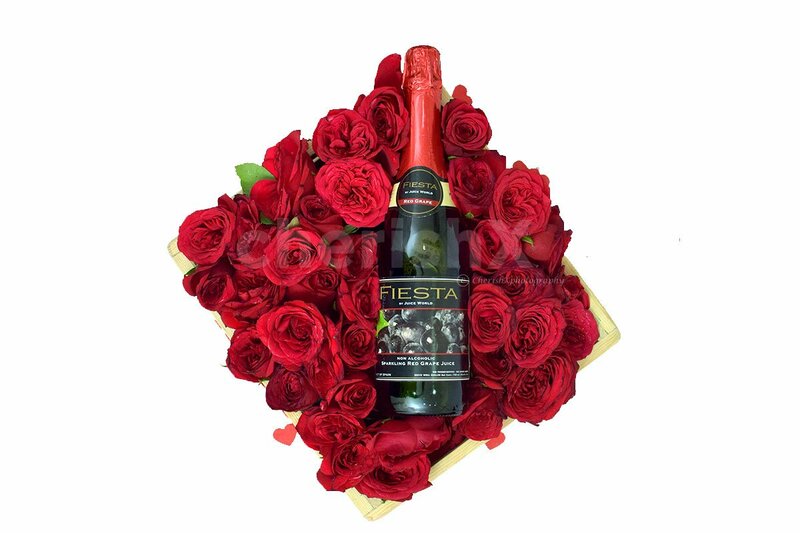 The bottle of fiesta & roses is placed in a classy wooden crate. Whether it’s a long time crush or a mature love, this beautiful love crate will make them fall deeper in love with you. The gorgeous blooms will let them know about your true feelings.